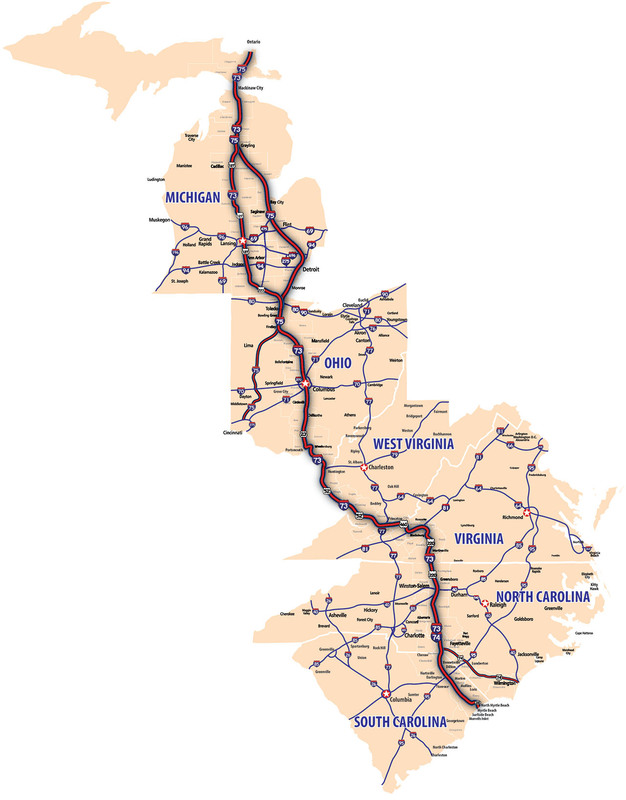 The Interstate 73/74/75 will bring growth along the corridor of six states: Michigan, North Carolina, Ohio, South Carolina, Virginia and West Virginina. Find more information for U.S. and State Senate and House of Representative, state's route and construction progress maps and DOT, at the links below. Click here to view PDF of larger map.